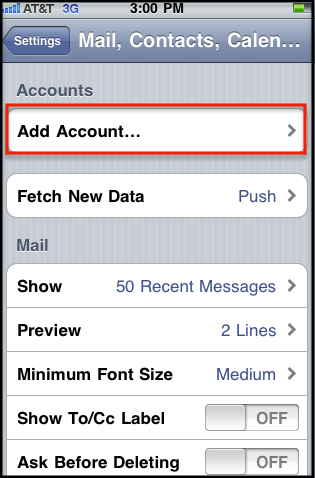 You'll then tap Add Account, Tap Other and then Add Mail Account. 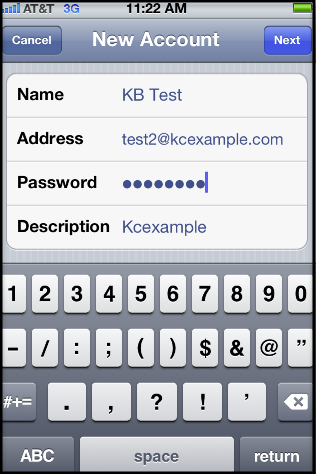 The "New Account" screen will appear and you'll then Enter in the following information in the fields provided, and then tap the Save button. Name - Enter in your first and last name. 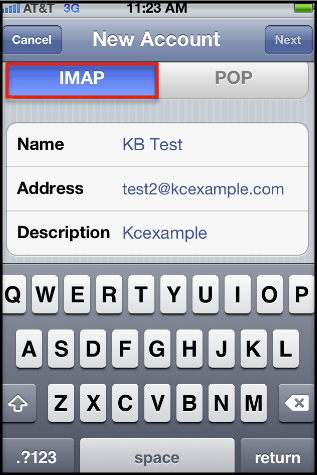 This is the name that will appear in the From field of messages you send. 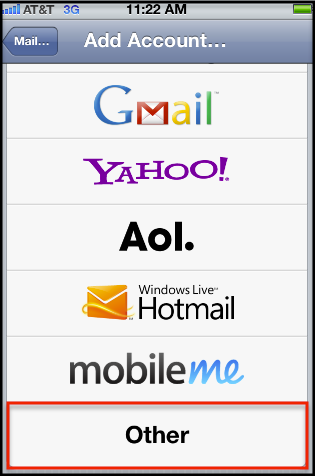 Address - Enter your entire email address (e.g., myname@mydomain.com). 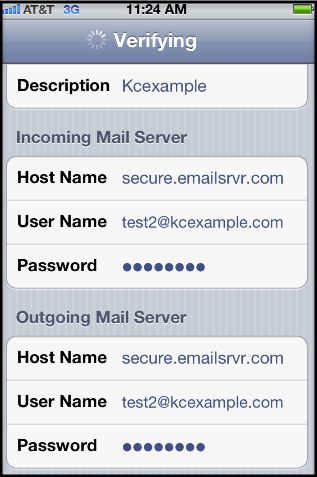 Password - Enter the password for your email account. Description - Enter a descriptive name for the account (e.g. Work Account). This description will only be visible to you. User Name - Enter in your entire email address (e.g., myname@mydomain.com). 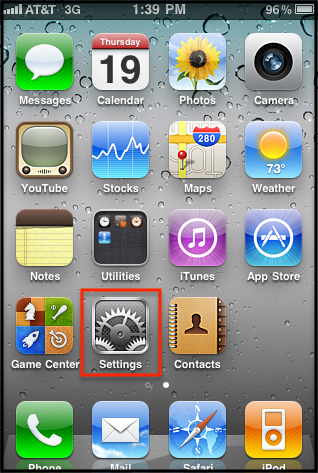 After you've entered in all the information, tap Save and the device will then verify your settings. After you've been verified, you'll then be take to the Mail & Notes screen. You're all finished. Well done! 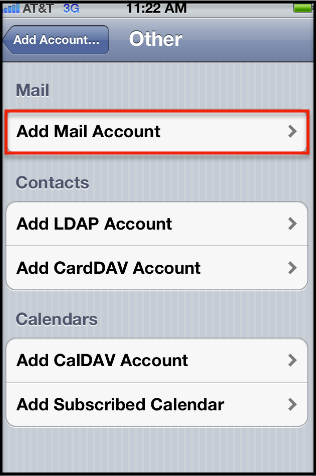 After you've set up your mail account, go back to your home screen and Tap your Mail icon. 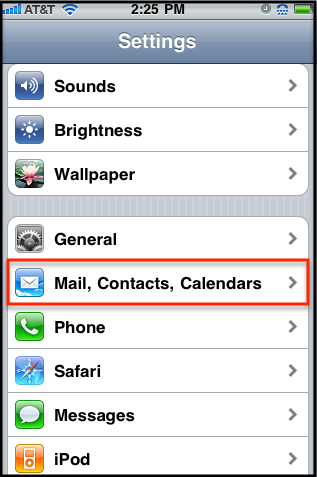 Select your newly created Mailbox and let all your mail synchronize and then go back to your home screen. You'll then tap Advanced located at the bottom, tap Drafts and on the next screen you'll select Drafts under the Server option. Repeat step number 4 for your Sent and Trash folders, and you're done! Note: You'll see that all your sub-folders have populated under the Server option.